Leslie Mann has been promoting her new film 'Blockers' and yesterday evening(April 3rd) she attended the premiere at the Regency Village Theatre in Westwood, CA. 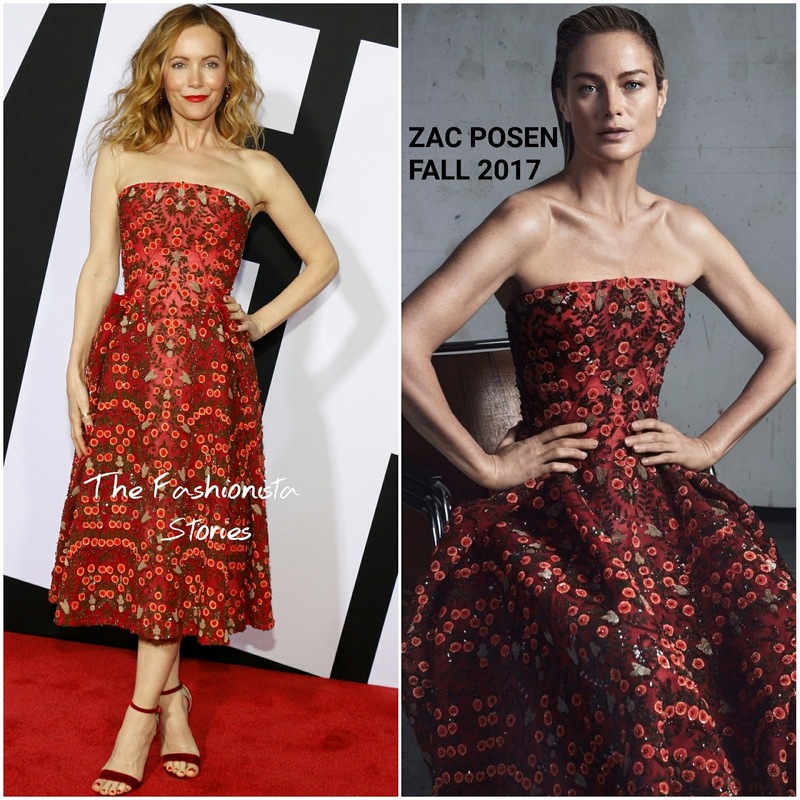 Coordinating with the red carpet, she wore a red & orange blossom strapless ZAC POSEN FALL 2017 hand beaded embroidered midi, A-line dress. On the beauty end, she went with a red lip color and center part waves. However a sleeker, off-the-shoulder hairstyle would have been ideal. Red velvet ankle strap sandals finished up her look.